Hunts across the West were warned they were being watched last night, as anti-hunt campaigners pledged to target the secretive world of hunt workers keeping, raising or feeding foxes. The warning came after claims of yet another case of an apparently wild fox being kept captive in a barn in the days before a hunt was due to meet locally. It follows a number of well-publicised claims from Devon and Gloucestershire to Yorkshire of what anti-hunt campaigners said is suspicious evidence linking hunts to the ‘production’ of a fox to chase illegally. The League Against Cruel Sports said they believe the practice is widespread and not only negates the argument that hunting is an essential part of pest control, but now that intentionally hunting a fox with hounds is ostensibly illegal, implicates hunts in breaking the controversial 2005 ban. Pro-hunt groups said the claims are fanciful and there is no concrete evidence linking those who appear to be involved in the practice with the hunts themselves. Producing foxes takes several forms, the League Against Cruel Sports claimed. In the most extreme examples, foxes are raised from cubs in captive conditions – usually in a barn – with the aim, anti-hunt campaigners allege, of maintaining a steady supply to be hunted. Other examples include hunt staff or local landowners feeding foxes in the wild, or creating maintained artificial earths for them to live in, often accompanied by regular feeding. In the most recent case, LACS investigators said they received a tip-off earlier in December about a fox being kept in an outbuilding on the land of the Buckminster Estate on the Leicestershire-Lincolnshire border. 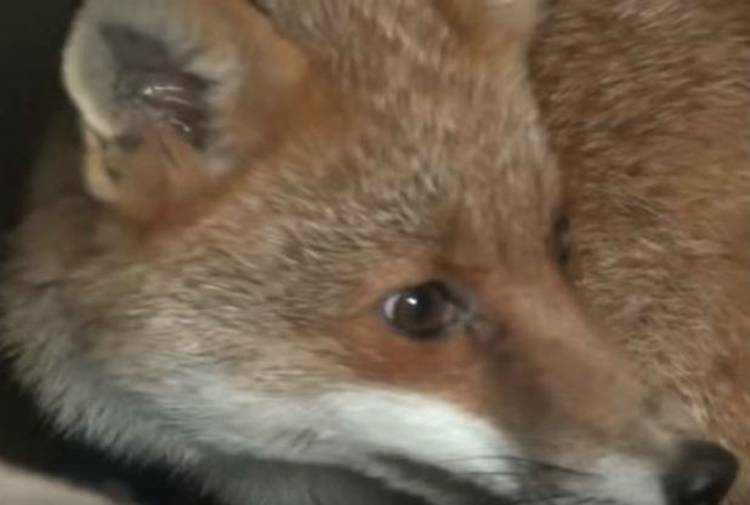 Investigators said they discovered a fox being kept inside, left it there but kept watch, knowing the Belvoir Hunt was due to meet on December 17 less than a mile away. “On the day before the hunt was due to meet, a man arrived, checked in on the fox, then left,” said League head of operations Tom Quinn. “We had what we needed, so we moved in. The door was unlocked so we were able to safely capture the fox and take him to a wildlife hospital. He was dehydrated but otherwise not too poorly. Allegations that hunts ‘produce’ foxes have consistently dogged hunts across the country, including in the West. Just last month, what is likely to be the last prosecution against an organised hunt failed in controversy after the judge questioned the impartiality of the League’s own ‘expert witness’. But earlier in the case, the judge was presented with video evidence which showed the hounds with the Devon hunt being prosecuted come across fox cubs. One died, but the video showed a cub still alive being put in a pocket by a man with the hunt. In Gloucestershire, last year, mystery surrounded why men linked with to a local hunt were secretly filmed feeding orphaned foxes in a field near hunt kennels, and even dating back to the 1990s, a group of men were filmed feeding foxes living in artificial earths created near the Beaufort Hunt base at the Badminton Estate. “For those of us who understand the way hunts operate, we’re saddened but not surprised when we find captive foxes,” said Mark Randell, the director of operations at the League. “We’ve made two such discoveries this year – a total of 17 foxes – but we’ve no doubt that’s just the tip of a pretty grim iceberg. “The truth is, hunts like chasing foxes. If they don’t have a fox to hunt on a meet day, those organising the hunt will look bad, so keeping foxes captive and releasing them in the right area just before the hunt sets off is a win-win for them – and a pretty much guaranteed loss for the fox. “This is a long-established practice and everyone within the hunting, and anti-hunting, world knows about it, but it probably still comes as a shock to the wider public. Hunts love to push the line that they are protecting farms from foxes – but that’s nonsense and this proves it. If you want to get rid of a fox, why keep it and feed it then release it again? The hunts are about the sport, and nothing else. “The League Against Cruel Sports will continue to investigate this practice, and we will respond to the increasing amount of information being given to us by concerned members of the public. Just this week, the hunts have been claiming how popular they are, but how they no longer actually hunt animals. Every fox found being kept captive shows that to be a lie, so we will continue to pursue anyone doing it,” he added.